Have a question for Mango Lagoon Place? "Great location, lots of food options within a few metres wal..."
Whether you're a tourist or traveling on business, Mango Lagoon Place is a great choice for accommodation when visiting Bangkok. From here, guests can enjoy easy access to all that the lively city has to offer. With the city's main attractions such as Ravinsons's International Tailor, Phra Athit Road, New Picasso within close reach, visitors to the hotel will just love its location. Mango Lagoon Place also offers many facilities to enrich your stay in Bangkok. The hotel provides 24-hour security, convenience store, daily housekeeping, 24-hour front desk, Wi-Fi in public areas to ensure our guests the greatest comfort. 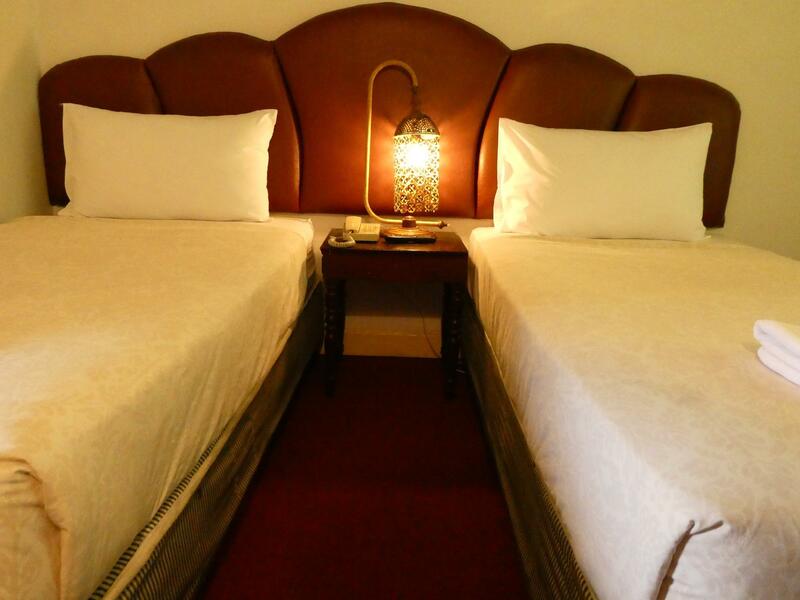 Experience high quality room facilities during your stay here. Some rooms include air conditioning, desk, balcony/terrace, television, satellite/cable TV, provided to help guests recharge after a long day. The hotel offers an excellent variety of recreational facilities, including outdoor pool, solarium. With an ideal location and facilities to match, Mango Lagoon Place hits the spot in many ways. Pool spa is available for guests from 02:00 PM to 05:00 PM daily. This is an older hotel. The rooms do not smell but the carpeting is a bit old. The only real problem is that the sheets and pillow cases were nice and clean, but the material underneath them was stained and unclean in my opinion. The lobby has a resturant and a big swimming pool, and the hotel is located at the end of the street so it is quiet at night but still very close to all the action and nightlife further down the street. Great location, lots of food options within a few metres walking distance. 7/11 right outside. Walking distance to khoa san road. Close to the palace. Lots of taxis and tuk tuk available. Great streetfood close by. We stayed there for 3 nights. It is located behind of the temple in Khao san. So close to the main street yet very quite at night. The room was some what old and basic but it was all we needed. Small but excellent pool is perfect for my two boys aged 8 and 10. Beach towels are always ready for you to use. 7/11 is right next to the hotel, you don't have to carry your bottled water or beer too far! Tha Pha Athit ferry stop is less then 10 min walk where we took ferry to Wat Arun. Great experience for the children. There are plenty tour shops near by for whatever suits you. Only down side I can think of is that I found a used hair comb and some rubbish behind the fridge. I guess they don't really vacuum there? But as I said it was minor problem for us. I would stay there again. Great place and very close to the night market. They let me check in at 11.00 AM. My room was ready n i didnt hve to wait. For early b'fast I would suggest this place. But if u dnt need to rush , definetly i would suggest somewere out.Good to hve a soundless sleep. My room was cleaned n toileteries changed as per my requurements.Not noisy at all. Just outside d hotel you can find many massage places though I personally preferred the one right in front of the hotel. Overall great place and value for money. Its safe even for solo lady travellers. 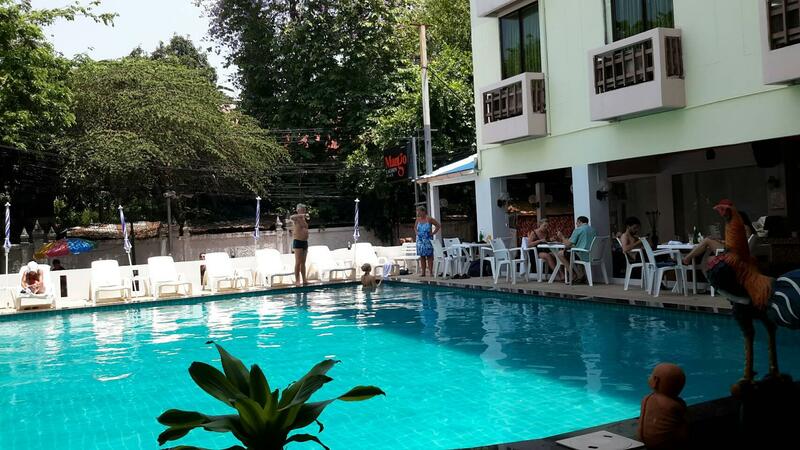 The hotel is great and is in a really good location for Khosan Road, the Hotel has a large resturant and pool. The room was clean and offered a nice view over the pool. The lady at the reception (Wenika) spoke very good english and was very at answering any questions I had making me feel very welcome, I will stay here whenever I am in Bangkok and would recommend to others. Thanks. Was great. The place is nice and convenient. Near khao san road and convenience store. Also near some restaurants along the road which serve good and cheap food. The room was spacious and clean and the hotel allows baggage storage after hotel check-out for free. The area where it is located is quiet and peaceful. 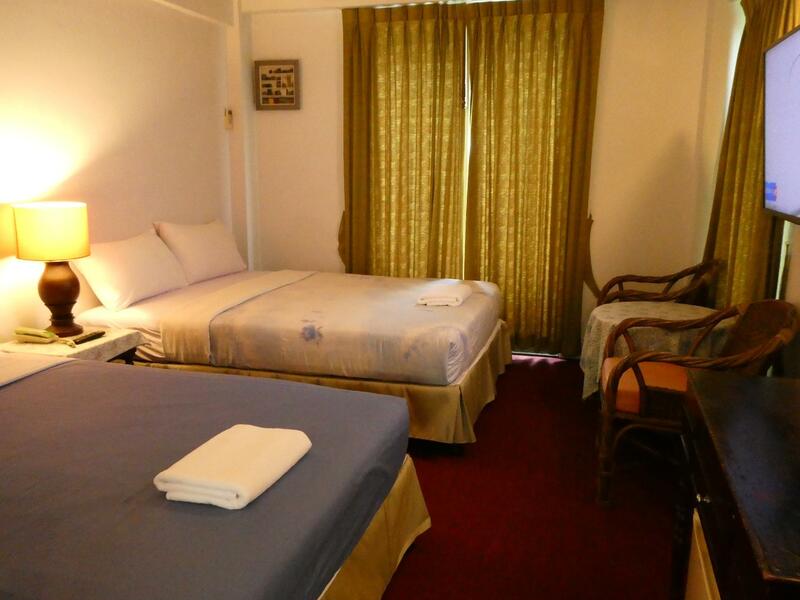 The hotel is conveniently located near Khao San Road and the tourists destinations. The staff is not very approachable. I had to remind the receptionist regarding free breakfast as advertised in Agoda. When we asked for extra toasts, the server gave them with her bare hands😕 I asked for tourists map for us to use to navigate the city, only to be informed that they don't have it. The neighborhood is quiet and safe. The Mango Lagoon is a good place to stay if you don't want to stay right on Khaosan road, it is only a 5/10min walk away. 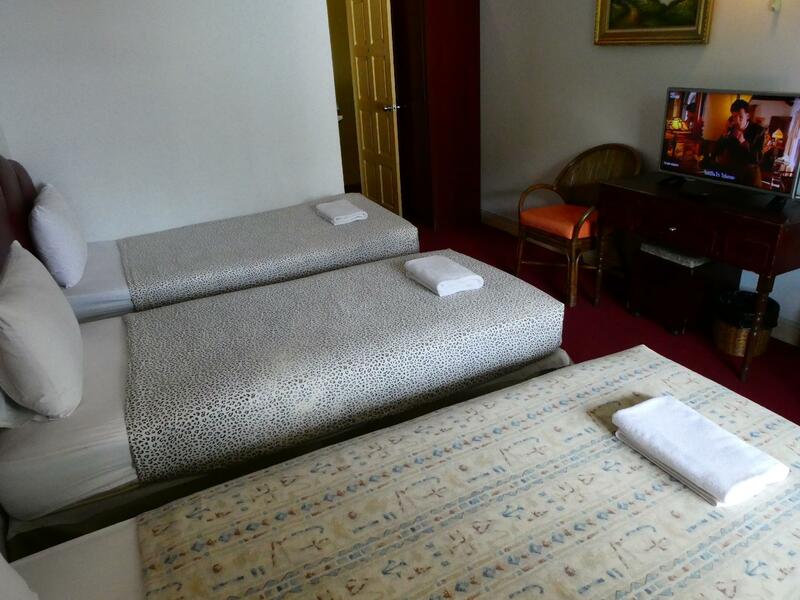 The rooms a little outdated and tired however the beds are comfortable and there is aircon in the rooms. Please be aware there is no lift and I believe there are 4/5 floors. We arrived here in the evening to massive smiles from the women on reception and from that moment on we felt comfortable. Our room was on the 4th floor (the lack of elevator wasnt as difficult as some other revies make out but it could be an issue for some) which menat it was very quiet! We had a corner room which looked over the courtyard AND Soi Rambuttri was it was absolute bliss at night. Also, when recovering form Jetlag, the movie channels available did the trick. 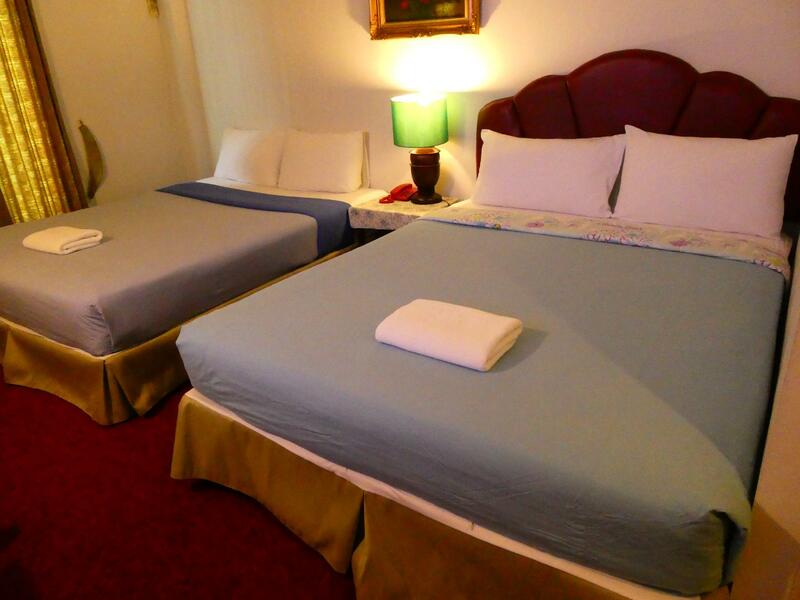 The room was very clean and confortable with adaquate, although not arctic, air conditioning. The location was perfect for what we needed. Rambuttri has always been by go to over Khao San. It has everything you need in close proximity (food, beer, miscellaneous travel items) without disturbing your sleep, especially as Mango Lagoon Place is by the end of the street. We've been staying in this area for the last 25 years, and always enjoy it. First time at the Mango, and would say it has some of the largest rooms for the price we've seen. Carpeting. Is old and stained, but outside that the rooms are ok. Generally speaking, room quality in Kho San area is of lower quality, and this place is no exception. Would stay again. I have stayed in so many hotels & guesthouses around the Banglampu area, but this is the only hotel that has grabbed me and I keep returning to stay here. It may not be as nice as other hotels, but it is consistant & I know exactly what I'm getting. I've stayed in most of the rooms & they are quite similar. All always get a nice quiet sleep & it's close to where ever I want to go. Good location, nice pool. For a few more dollars you can do much better. Our room was on the first floor directly above the bar so it was noisy till very late. Ask for a room on a high floor or away from the bar if you want to get a good night's sleep. No frills room, quite cramped, but had a fridge, aircon worked and beds were comfy. Restaurant serves quite bland food at premium rates. Can eat better food at less than half the price just across the road. Staff quite good and generally friendly.